Why Should You Care about Blockchain Technology? Before we dive into an explanation about how blockchain works, it’s important to address one of the most common questions the average person has, whether you’re a consumer, investor or real estate professional. That question is – why should you care about blockchain technology? Simply put, blockchain is the future. The future of digital currency? Sure, that’s one aspect. However, it’s actually the future of almost everything, from lending to investing to real estate record keeping. Blockchain has the potential to completely revolutionize the human world, in much the same way that the Internet did. This goes well beyond bitcoin, or any other cryptocurrency, most of which are too risky for the average investor to bother with. However, the volatility of bitcoin has nothing to do with blockchain technology and everything to do with market fluctuations. So, you should care about blockchain because, ultimately, it will have a profound effect on your life. Understanding blockchain technology now, whether you care about bitcoins or not, will help you better prepare for that day. It’s not all that far off. Now that we’ve established the fact that everyone, everywhere, should care about this technology, it’s time to dig into how it works. A better understanding of the inner workings of this tech will also help you better grasp the implications it has for your life. A company wants to store information securely. This requires somewhere to do that digitally. We’ll call the information the company wants to store “a record”. It can be anything from a purchase of bitcoins to real estate investing records. The transaction/purchase/other information is checked by the blockchain network to ensure that it is completely valid. Once validity has been established, that information is bundled together with other records to create a block of data. 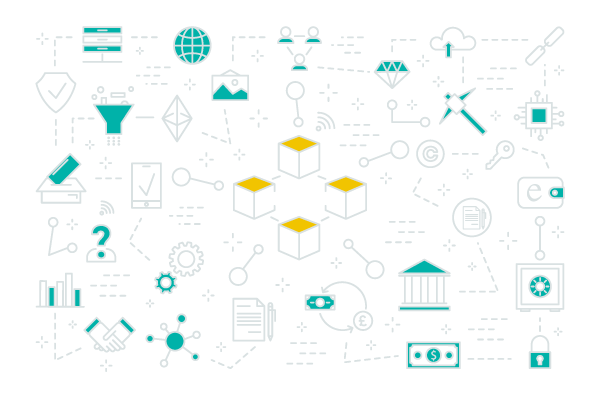 Each block is secured with a unique code called a hash, as well as the hash of the block immediately preceding it in the chain. That block is added to an unbreakable chain of other blocks. Each block is connected to the one ahead of it with a hash. This creates a chain. It might help to think of the blockchain as fabric, with individual blocks being fibers within the greater weave. The interconnectedness of the fibers is what gives the fabric its physical definition. Another way to think of it is like the Internet. Think of blockchain being the entire Internet – the distributed network that you connect to when you check Facebook, or when you go to Zillow’s website. In this analogy, bitcoin (and all other cryptocurrencies) would be like an email client. Obviously, there are far more apps out there than just email – you have browsers, smartphone apps, Internet radio, and the like. All of these are things that can be built to work on top of the Internet. The same concept applies to blockchain technology. It’s the foundation on which other things can be built. What sorts of things? Anything that requires a transaction, that needs a record, or that requires protection. Of course, this probably doesn’t really illustrate how blockchain technology works all that well. We’ll break things down into a few specific areas below. One of the most critical things to understand about blockchain technology is “decentralized consensus”. In short, this means that no one authority, platform, company or organization controls consensus. Blockchains are decentralized, and all change requests are approved by decentralized nodes, rather than a single authority or decision maker. To really understand this, think about the process of applying for a loan with a bank. In order to obtain a loan, you have to jump through a lot of hoops. You have to prove your identity. You have to prove your financial history and stability. With blockchain, you don’t have to jump through those hoops. All the information is right there for the lender to see and access (but not own). Smart contracts are the foundation of everything that will ever exist within the blockchain. They’re essentially programs that perform a very specific function regarding a very specific unit of value based on very specific rules. They can be used for anything, too. Right now, they’re really only being used with cryptocurrency, but that is slowly coming to an end as more and more people realize the value of this technology in other applications. Take real estate investing, for example. A smart contract could be used to facilitate instant closure of purchases, add to your real estate portfolio, and more, all without any sort of security concerns. It also allows fractional ownership of real estate, with each owner’s stake securely recorded. In the end, blockchain technology is here to stay. While you might not have felt its effects in your life yet, it’s only a matter of time. Eventually, it will become the foundation for all financial transactions, and will very likely be used for all real estate transactions, legally binding contracts, and more, all without the need for third parties. 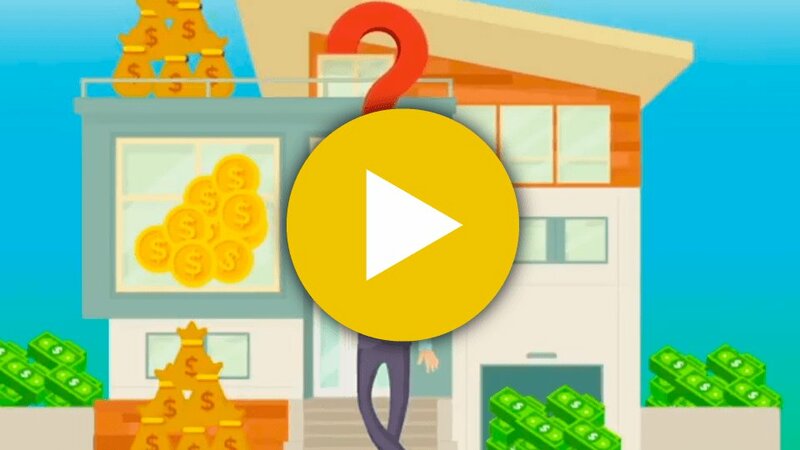 Imagine being able to purchase a fractional share of ownership in a home without having to deal with a real estate agent, or without the use of an attorney. It’s about saving time, money and hassle, while ensuring the best possible protection for our data.